Humanity has the seeds of greatness, despite its errors, its ignorance and its corruption. Spirituality is still alive in this world, where it has died and been forgotten in so many others. The fire of love is still burning here, in the minds and hearts of many, many people—a fire that has grown cold in so many other worlds in the universe around you. Humanity knows not of its greater promise and greater potential, for it struggles with the very forces that have destroyed the power of love and Knowledge in other worlds—the very forces of greed, expediency, corruption, conflict, war and deprivation. Think not this is unique to this world and to the human family, for such things have been a part of every great nation’s evolution in the universe around you. But many of those nations beyond your world have never known freedom, have never known compassion. The future that will give humanity stability, security and protection from collapse within the world and from intervention from without, will be a very different looking world from what you see today, and very different from what the vast majority of people expect and are planning for at this moment. The future world for humanity represents growth and maturity in the universe, particularly amongst advanced worlds that have been able to maintain individual freedom. This is evolution, but evolution follows the decisions of the intelligent races of which it is a part. From The Vision. 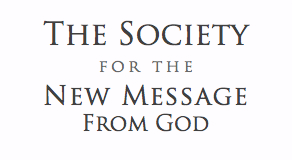 Register for the Free School to read the full text and begin to carry a greater vision for humanity. One Response to "The Vision for Humanity"
Religion and it’s differing god’s, depending upon which sect (Christian, Muslims,etc) do not preach freedom by servitude under which ever prescription (god) it offers humankind. Either a Jesus or some Mahdi or Jewish Messiah. All call for blood sacrifice and its reestablishment of the blood sacrifice rituals. Is that which caused all Creation, referred to by the masses God, require blood sacrifice. Even the Judeo/Christian bible has at least one truth said. To paraphrase Hosea 6:6 ” I desire Mercy, not sacrifice (also 1Samuel 15:22). Numerous times the word of the true Creator comes throu the corrupted documents, called holly Scriptures, given in part by ET’s. Until humankind breaks the bounds of it’s ET religions whose foundations are based on the murder of other humans and the blood sacrifice of bulls, rams etc human kind will not have true freedom for all humankind on this earth. Obviously humanity must pursue and adhere to the truth of the golden light that true Knowledge brings.